Original Diplomat navy blue suitcase with contrasting bright yellow inner lining has it's history plastered on it- stickers adorning it. 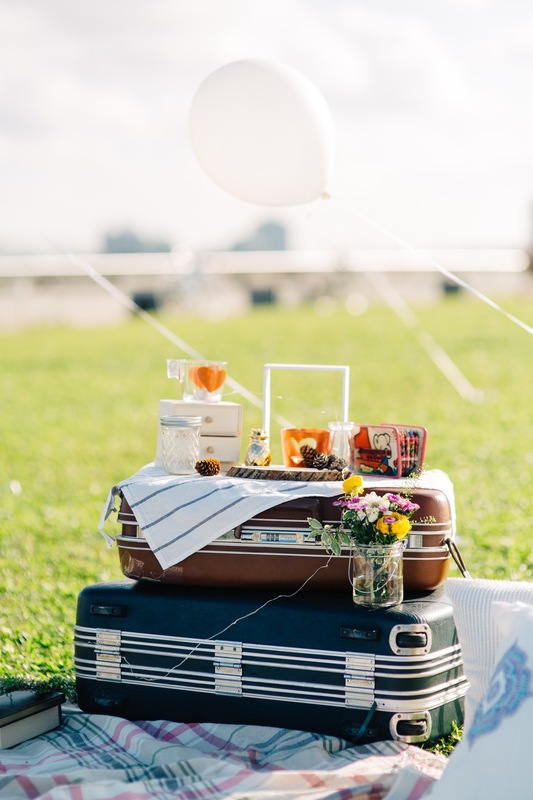 Perfect as a prop for a travel inspired styled shoot. 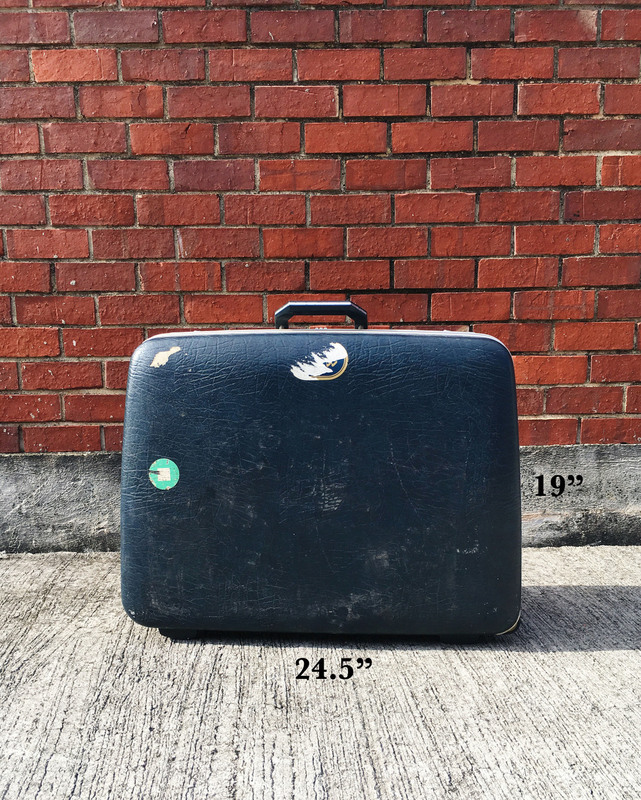 Suitcase measures 24.5" x 19".